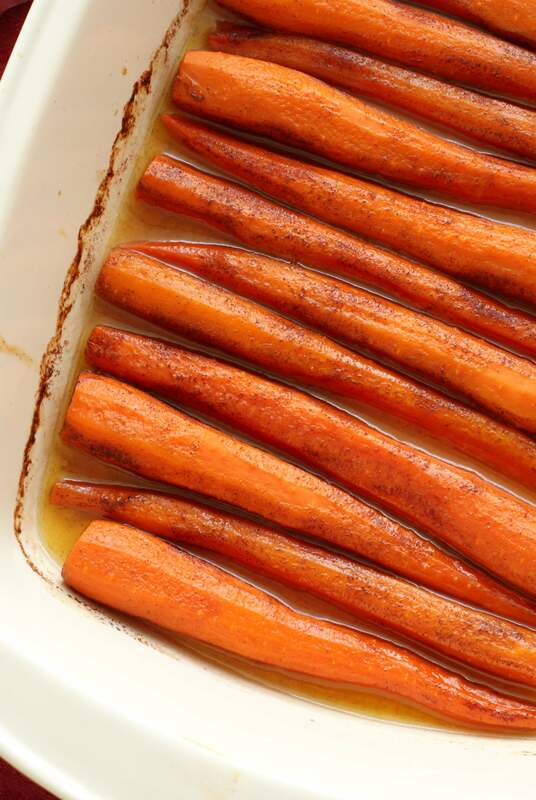 POPSUGAR is excited to present the first online look at this cinnamon butter baked carrots recipe from Becky Tarala, the blogger behind The Two Bite Club. 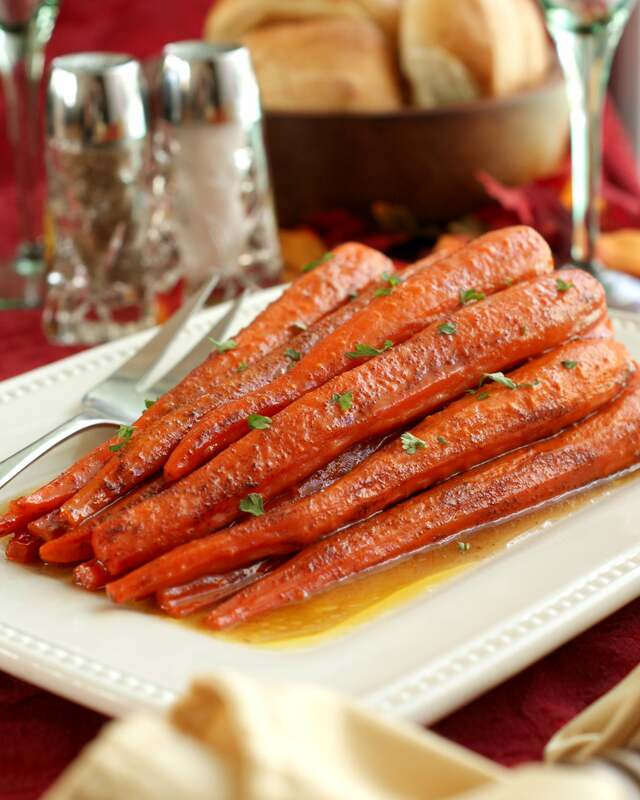 If your Thanksgiving menu is in need of a simple yet beautiful side dish to balance out all of your classic casseroles, cinnamon butter baked carrots are the way to go. 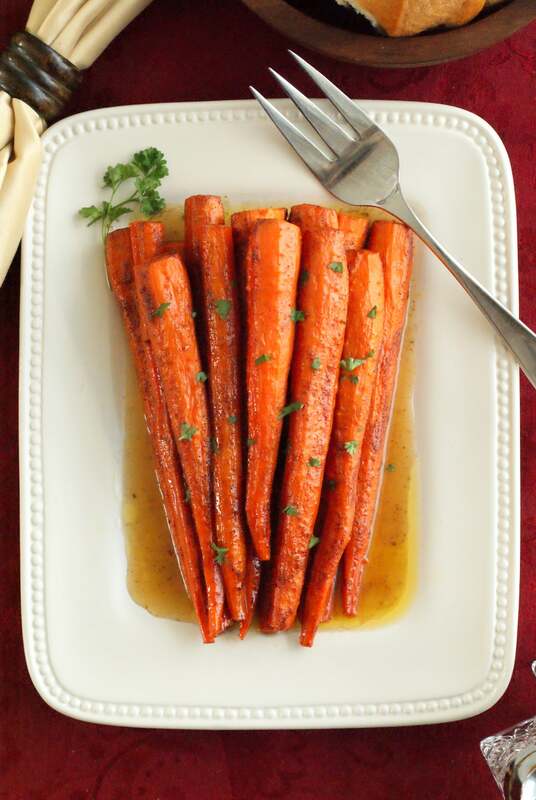 This easy-to-make recipe features fresh carrots that are smothered in cinnamon butter and then baked in the oven until they are perfectly glazed and tender. 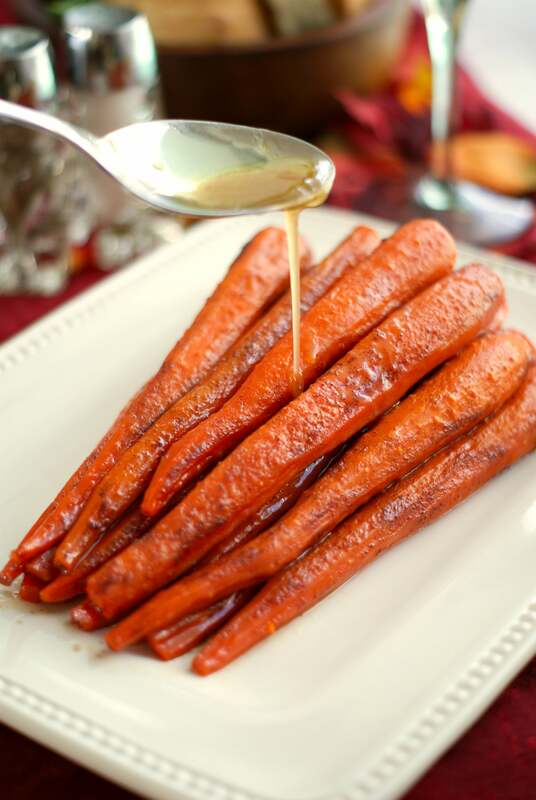 With the stunning presentation and sweet cinnamon butter sauce, these carrots are sure to steal the show this Thanksgiving! Menu planning for the holidays is no joke. Sure, when you first think about it, the whole process seems pretty simple and straightforward. You roast a big turkey, make a few sides, throw in a few rolls, and you’re good to go. It’s when you actually sit down to make your shopping list that things start getting real. A million thoughts start running through your mind. Is a 19-pound turkey big enough? Shoot, maybe not. Maybe we should serve ham, too. Add ham to the list. Sweet potatoes with marshmallows or without? No, wait. No marshmallows. A brown sugar pecan topping is better. Should I make homemade rolls? Plan for homemade rolls AND buy rolls from the bakery because you always take on too much and it’s good to have a back-up plan. SO. MUCH. TO. DO. I’ve found that the best way to make sure I don’t forget anything is to write down each dish that I want to serve, adding more and more ingredients to my shopping list and as the menu takes shape. I’ve hosted Thanksgiving in our home for quite a few years now and, while there will always be a million things running through my mind as I plan, I’ve gotten pretty good at coming up with a well-rounded holiday menu! I love to serve a variety of casseroles with our turkey, stuffing, and mashed potatoes and, while everything I plan to make is absolutely delicious, my menu usually begs for something simple, fresh, and beautiful to balance out the heavy, rich dishes I initially crave. 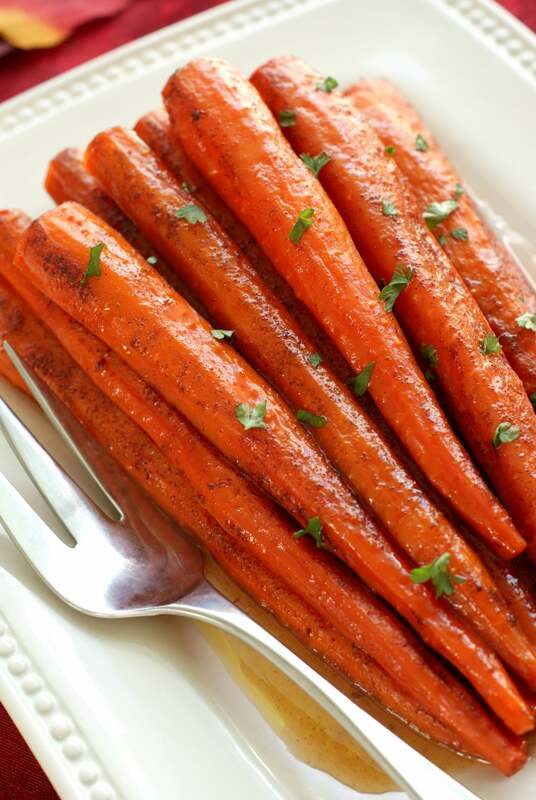 That is how these cinnamon butter baked carrots came to be. 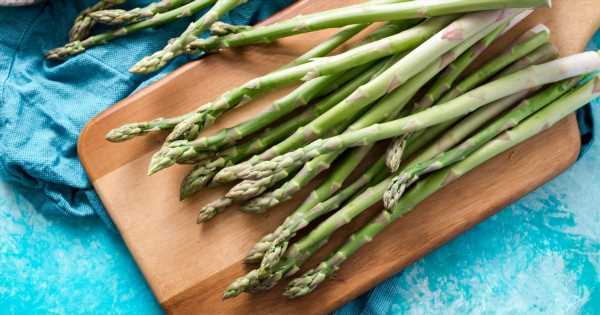 I wanted to add one more easy-to-prepare side dish to our feast that would balance out the slew of casseroles. Carrots seemed to be the perfect choice! I decided pair the carrots with classic flavors and dressed them with butter, sugar, and cinnamon. Super simple, but absolutely delicious! Sometimes a little bit of simplicity is just what my menu needs. 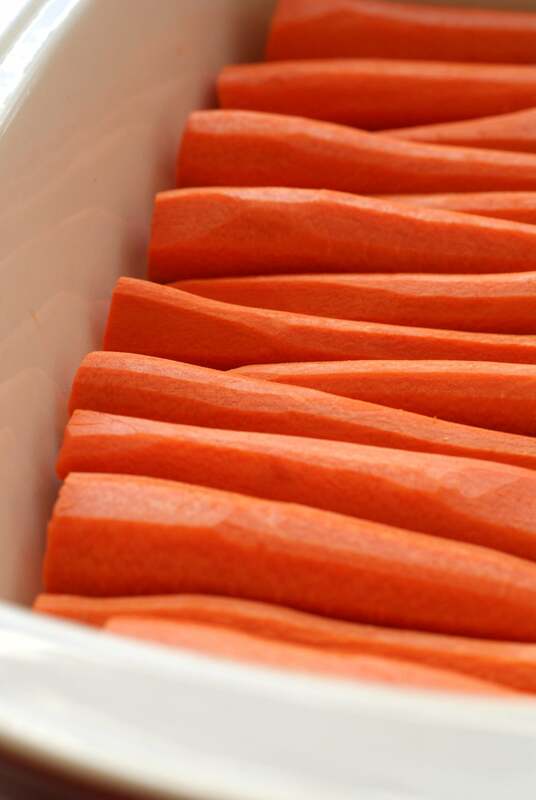 After baking in the oven, the carrots come out perfectly tender and so, so good. For me, the best part is the sweet, sticky cinnamon butter sauce that the carrots bake in. 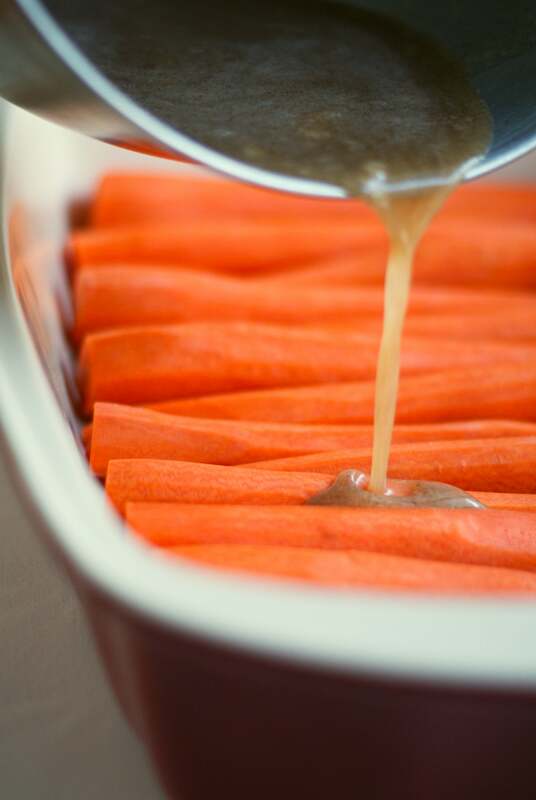 Once you transfer the baked carrots to a serving platter, you drizzle that irresistible cinnamon butter over the top and it is like the icing on the cake! 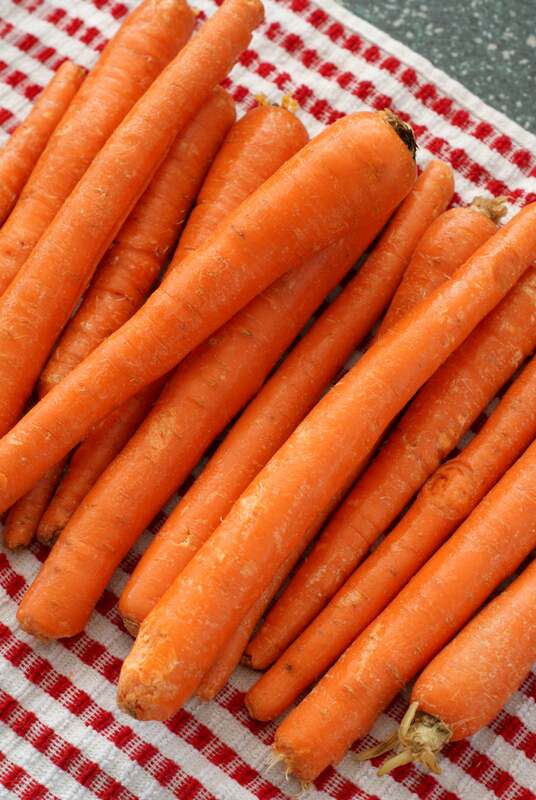 If you decide to add these beautiful carrots to your menu this Thanksgiving, I think it’s only fair to warn you that the smell while they are baking is simply intoxicating. Once you get a whiff of that sweet cinnamon bubbling away, you will forget all about the turkey! If your menu this year is in need of that one special dish to round everything out, these baked carrots are what you have been looking for. They will surely be the star of your holiday feast!